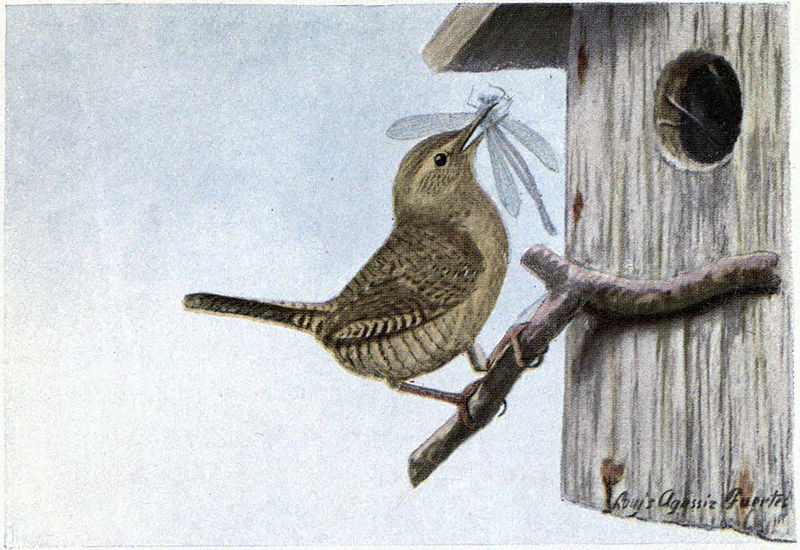 CHAPTER I. Jenny Wren Arrives. Lipperty-lipperty-lip scampered Peter Rabbit behind the tumble-down stone wall along one side of the Old Orchard. It was early in the morning, very early in the morning. In fact, jolly, bright Mr. Sun had hardly begun his daily climb up in the blue, blue sky. It was nothing unusual for Peter to see jolly Mr. Sun get up in the morning. It would be more unusual for Peter not to see him, for you know Peter is a great hand to stay out all night and not go back to the dear Old Briar-patch, where his home is, until the hour when most folks are just getting out of bed. Peter had been out all night this time, but he wasn’t sleepy, not the least teeny, weeny bit. You see, sweet Mistress Spring had arrived, and there was so much happening on every side, and Peter was so afraid he would miss something, that he wouldn’t have slept at all if he could have helped it. Peter had come over to the Old Orchard so early this morning to see if there had been any new arrivals the day before. “Birds are funny creatures,” said Peter, as he hopped over a low place in the old stone wall and was fairly in the Old Orchard. Peter cut a long hop short right in the middle, to sit up with shining eyes. 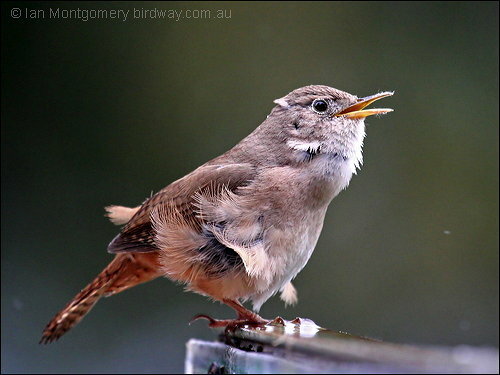 “Oh, Jenny Wren, I’m so glad to see you! When did you arrive?” he cried. Jenny Wren’s bright eyes snapped. “Why do you eat?” she asked tartly. “Because I’m hungry,” replied Peter promptly. “What would you eat if there were nothing to eat?” snapped Jenny. “That’s a silly question,” retorted Peter. “No more silly than asking me why I leave the Old Orchard,” replied Jenny. “Do give us birds credit for a little common sense, Peter. We can’t live without eating any more than you can, and in winter there is no food at all here for most of us, so we go where there is food. Those who are lucky enough to eat the kinds of food that can be found here in winter stay here. They are lucky. That’s what they are—lucky. Still—” Jenny Wren paused. “He sings as if he were,” said Peter, for all the time Mr. Wren was singing with all his might. “And, when you scold you scold with all your might,” interrupted Peter mischievously. “Did you have a pleasant journey up from the sunny South?” asked Peter. “Fairly pleasant,” replied Jenny. “We took it rather easily, Some birds hurry right through without stopping, but I should think they would be tired to death when they arrive. We rest whenever we are tired, and just follow along behind Mistress Spring, keeping far enough behind so that if she has to turn back we will not get caught by Jack Frost. It gives us time to get our new suits on the way. You know everybody expects you to have new things when you return home. How do you like my new suit, Peter?” Jenny bobbed and twisted and turned to show it off. It was plain to see that she was very proud of it. “Very much,” replied Peter. “I am very fond of brown. Brown and gray are my favorite colors.” You know Peter’s own coat is brown and gray. Why did Jenny and Peter Wren leave? Do you know what that is called? How far did they travel? What color are they and why does Jenny like it? What kind of tongue did Jenny have? How is your tongue? Next Chapter – The Old Orchard Bully. 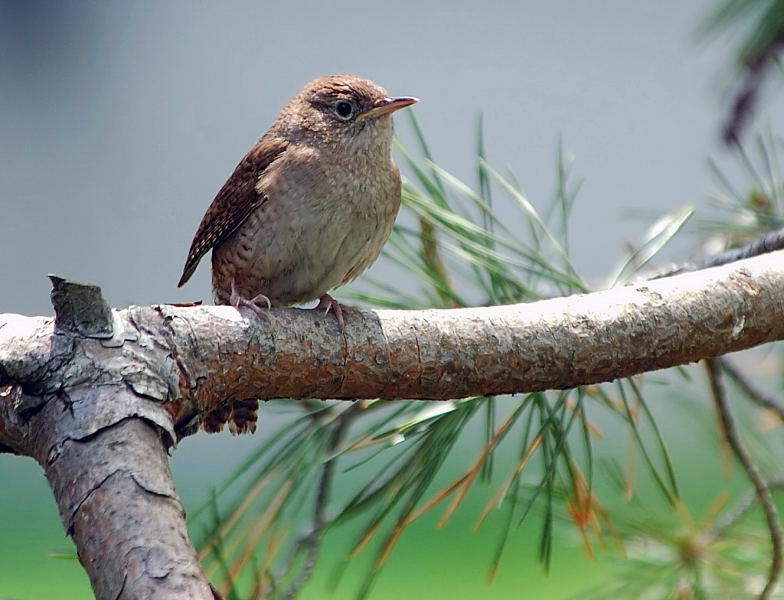 This entry was posted in Bird Tales, Birds, Birdwatching, Christian and tagged Burgess Bird Book For Children, Christian, Food Supply, Home School, House Wren, Kids of all ages, Migration, Nature, Thornton W. Burgess, Youth. Bookmark the permalink. Great capture, so sweet , well done ! Credit goes to Ray or Ian. Thanks.